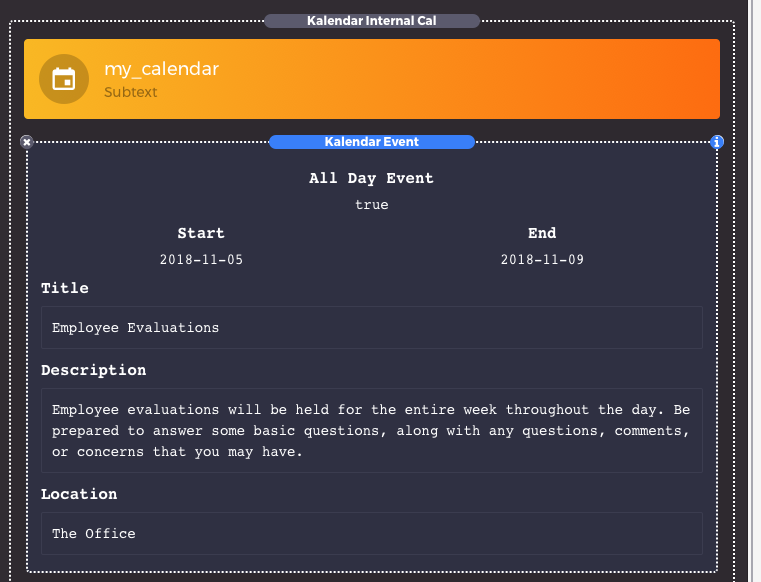 Get up in running with Kalendar in minutes! and one internal calendar already setup for you. There is no limit to the amount of external or internal calendars that can be connected. 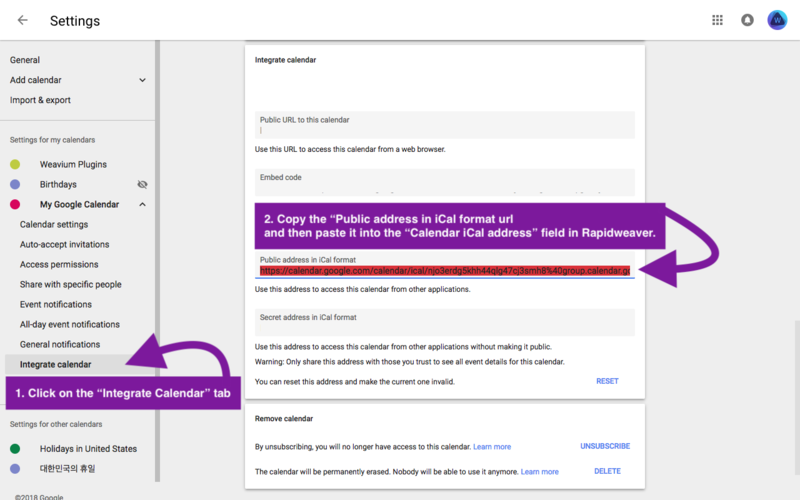 Learn more on adding your own external calendars or creating an internal calendar below. 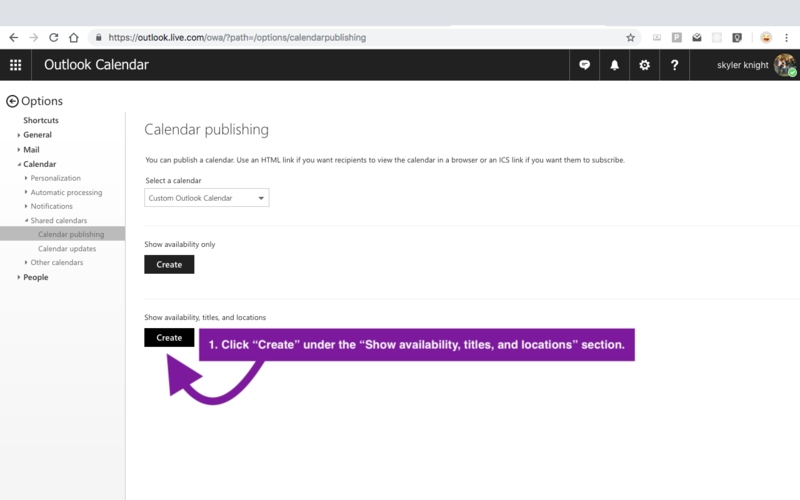 You can add external calendars by clicking on the ( + ) button under the External Calendars section of the stack. 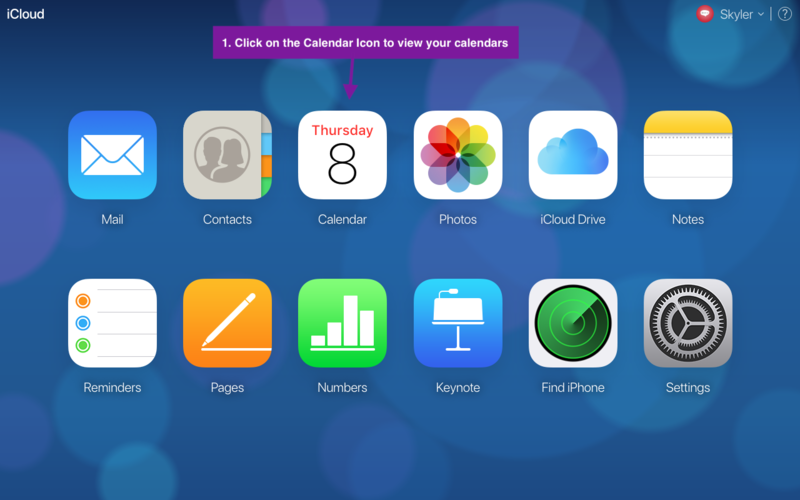 Once added, go to the settings panel and give your calendar a name. 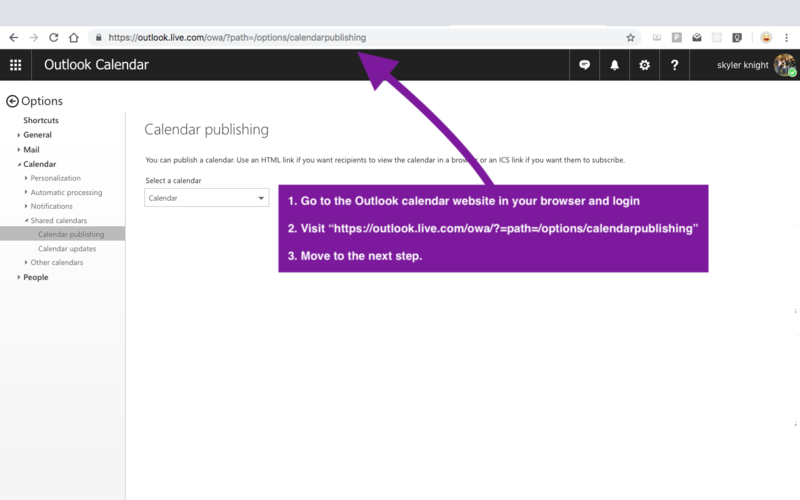 Next you'll need to provide a url for your external calendar. 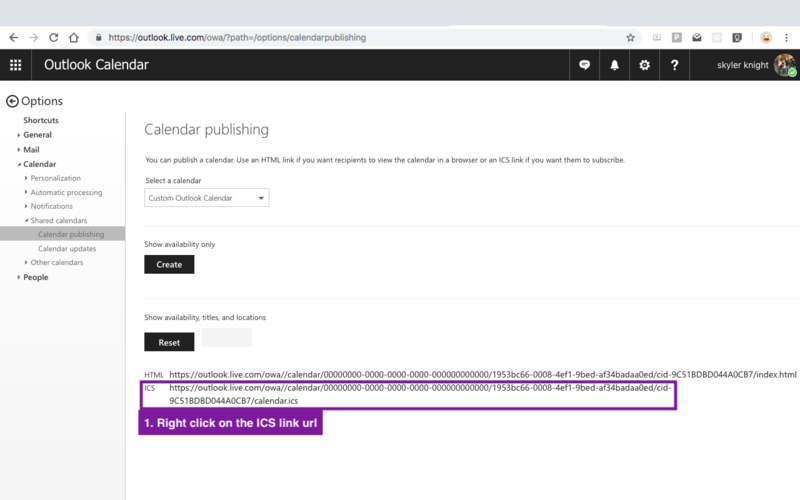 External Calendars require an iCal address url ending in ".ics"
If you already have access to an ical address, simply paste it in the iCal address field, and your calendar will be connected. 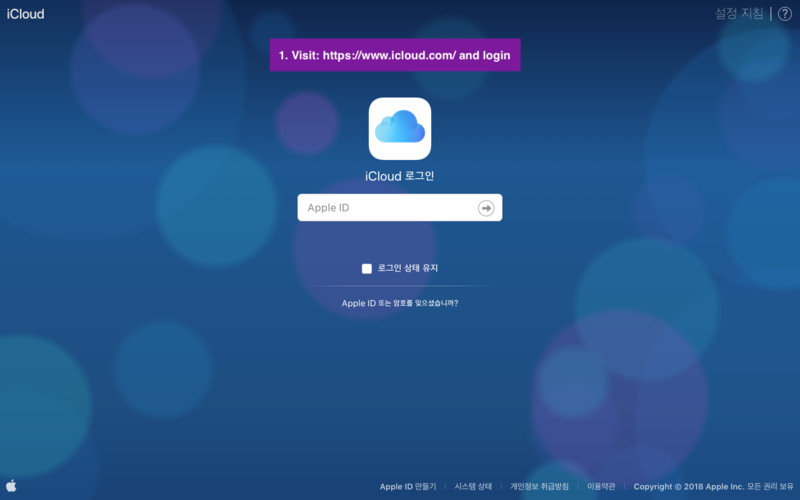 Below you will find a few tutorials on how to get the .ics address from different services such as Google, and Outlook. 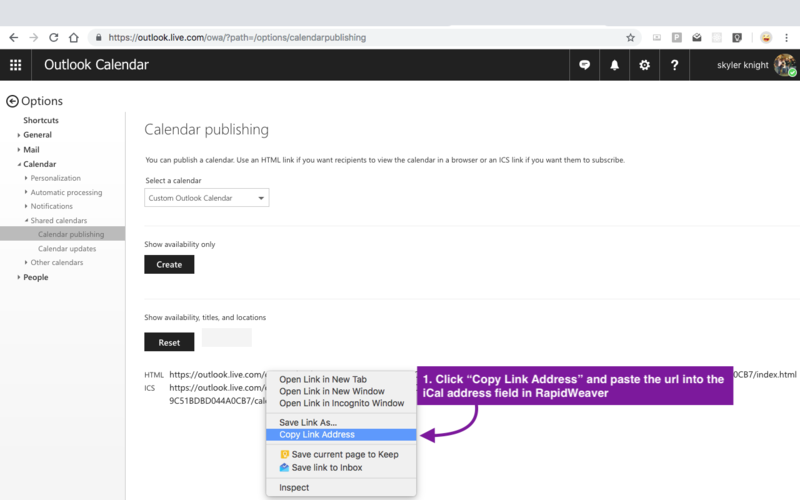 You can add external calendars by clicking on the ( + ) button under the RapidWeaver Calendars section of the stack. Next, you can add calendar events using the ( + ) button inside of the calendar stack. NOTE: All day events ignore the time field. When an item is set to all day, you will only need to worry about adjust the dates. Now all you have to do is add more events to your calendar and you are good to go! 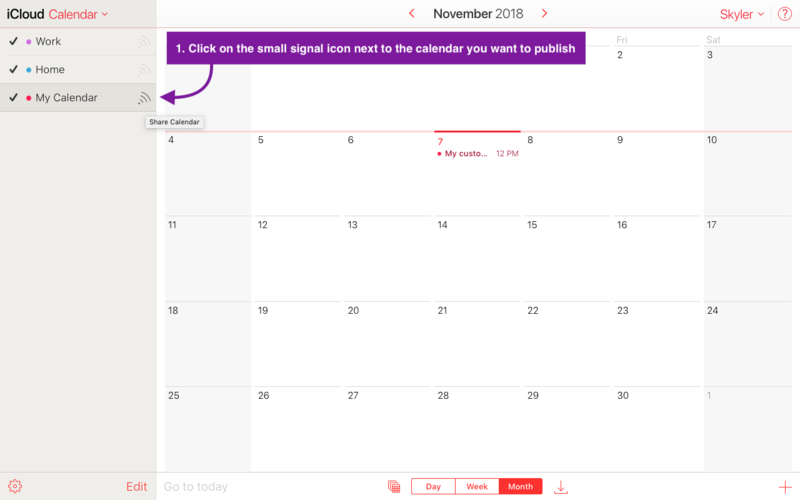 If checked, a list of all displayed calendars will show up on the right hand side. 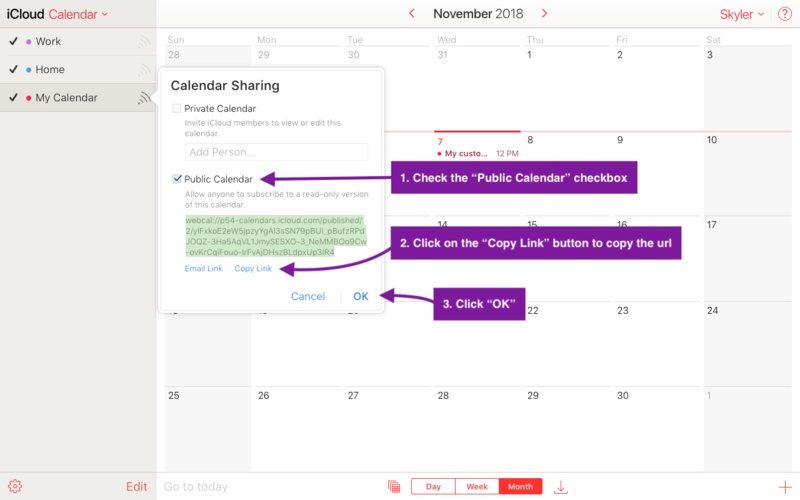 Individual calendars can be toggled on/off by users. If unchecked, the key will not be displayed. If you would like your event description text to be converted to markdown, check this option. 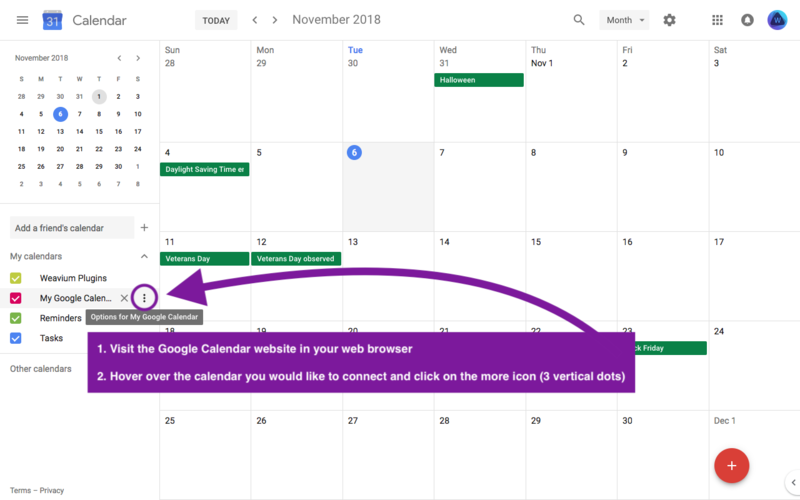 This worked for both Internal and External calendars, meaning you can write markdown in your Google, iCal, Outlooker (etc.) event descriptions, and it will be converted on your site! This sets the maximum width of the entire calendar. Sets the font size of the month in the calendar header. Sets the font size of the date in the calendar header. Sets the padding around the edges of the calendar header section. Here you can set a minimum height for the header section, the provides a nice, modern look if desired. Set it to 0, if you don't care for this. Here you can set the font size of event durations such as: "( 5 / 6 days )"
that are displayed for multiday events. This sets the font size of the time that is displayed in the event cards. Sets the corner radius of the event cards. This controls the inner padding of the event cards. 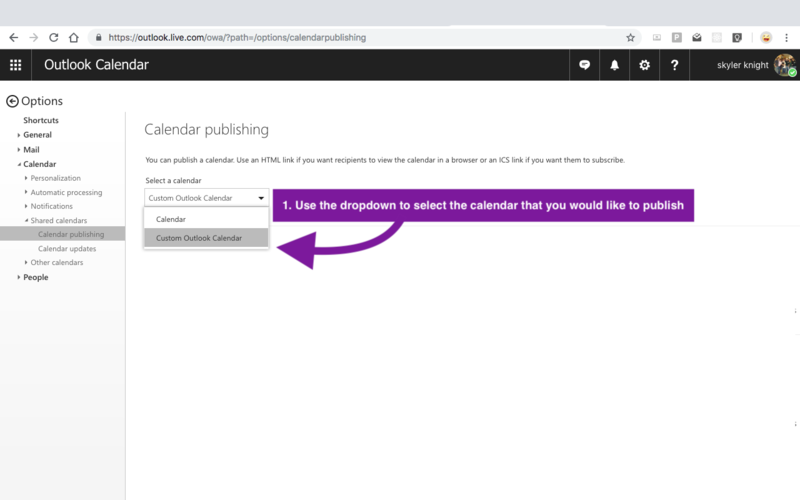 Here you can set the sizes for the calendar datepicker and the calendar key displayed on the right hand side of the stack. This sets the font size for the weekday titles in the datepicker. Here you can set the font size for the date numbers. This sets the corner roundness for the datepicker date blocks. At the bottom of the datepicker there is a a button for jumping to the current day. This styles control the font-size and corner-roundness of this button. By default there is a key displayed underneath the datepicker that allows users to toggle calendars on/off. These styles are for this key. Here you can set the font-size for the calendar key text. Sets the size of the checkmark and outer box of the calendar key checkboxes. Sets the corner roundness of the checkboxes. 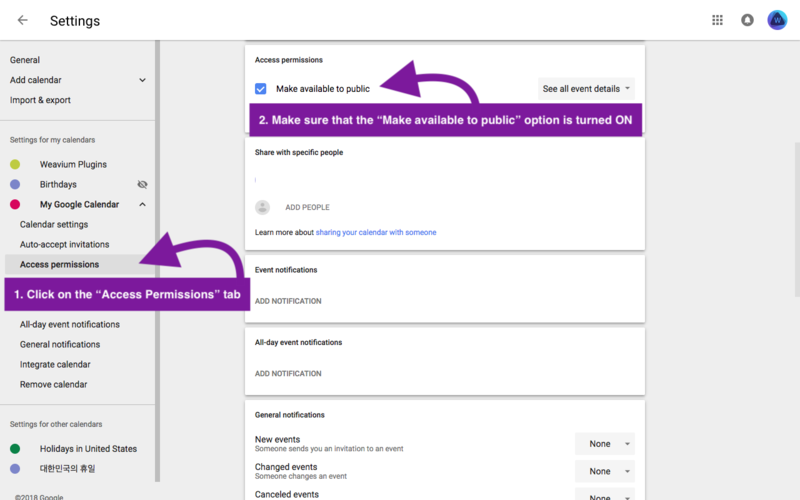 When an event item is clicked, a modal appears showing the full details of the event including location, full dates & times, and event descriptions. Here you can customize the sizes of the modal content. The event title displayed in the modal. Adjusts the font size of the event durations in the modal. Adjusts the font size of the location text in the modal. Adjusts the font size of the date/time text in the modal. In the modal, event dates/times are surrounded by a small box. You can adjust the padding around this box with this option. Here you can edit the colors & fonts for the Kalendar Stack. Here you can set the font for the calendar. Here you can set the color of month and date that appear in the header section of the stack. 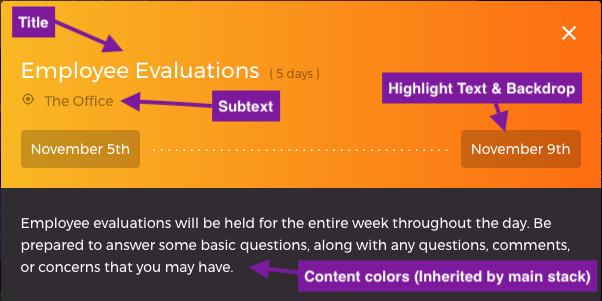 This sets the color of the "Time", "Events" titles in the content section. Sets the color of the borders used in and around the Kalendar stack. Here you can set the color of the top/bottom time sections to the left of each event card. Here you can set the color for the weekday titles displayed in the datepicker. Here you will find various options for setting the language of the calendar, as well as changing specific date/time related words throughout the calendar stack. Fixed bug causing special characters and quotations not to work in internal descriptions.